If this is an emergency, call 911. Do not use this form to report emergencies. If there is physical evidence that can be processed by officers, call 870-425-6336. Do not use this form if physical evidence is available. Use this form for occurrences within the city limits of Mountain Home, Arkansas. If the incident occurred outside our city limits, contact the appropriate law enforcement agency. Although the department will contact the complainant as soon as possible for additional information, please allow 48 hours for us to contact you, especially for reports filed on the weekend. In most cases, you should be contacted the next business day, Monday-Friday. If your report needs a quicker response, do not complete this form and immediately call the police department at 870-425-6336. If the incident or problem does not fall into one of the following categories, call the police department at 870-425-6336 for reporting an incident or complaint. Use this form to report theft of property less than $500.00 value, criminal mischief (vandalism of property) less than $500.00 value, lost items (money, purse, wallet, credit cards, driver’s license, etc. ), city ordinance violations, harassment, general complaints not requiring immediate response, found property, and lost property. All information provided is strictly confidential. Your information will be used for internal use only. Required fields are marked with an * asterisk. Please provide any and all information known about the suspect. Accepted file types: avi, wmv, mp4, mov, jpg, gif, png. If submitting a video or image, pease allow sufficient time for the form to send once you click the submit button. 40MB maximum file size. Accepted file formats: avi, wmv, mp4, mov, jpg, gif, png (Videos can be approx. 30 seconds). 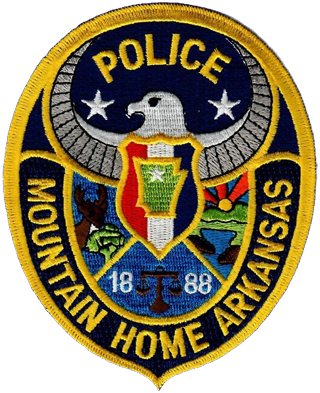 Mountain Home Police Department | © 2018 Mountain Home, Arkansas. Designed by ASWD.